Craig DeWitt is the Director of Product at Ripple, the world’s leading provider of enterprise blockchain solutions for global payments. Craig leads the strategic direction and development of Ripple’s blockchain network, known RippleNet. 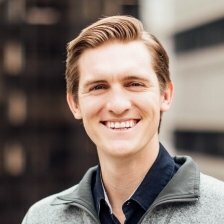 Prior to joining Ripple in 2015, Craig worked at both Adobe and Bloomberg in product management. Craig earned his MBA from Stanford’s Graduate School of Business and his bachelor’s degree at the University of California, Berkeley.